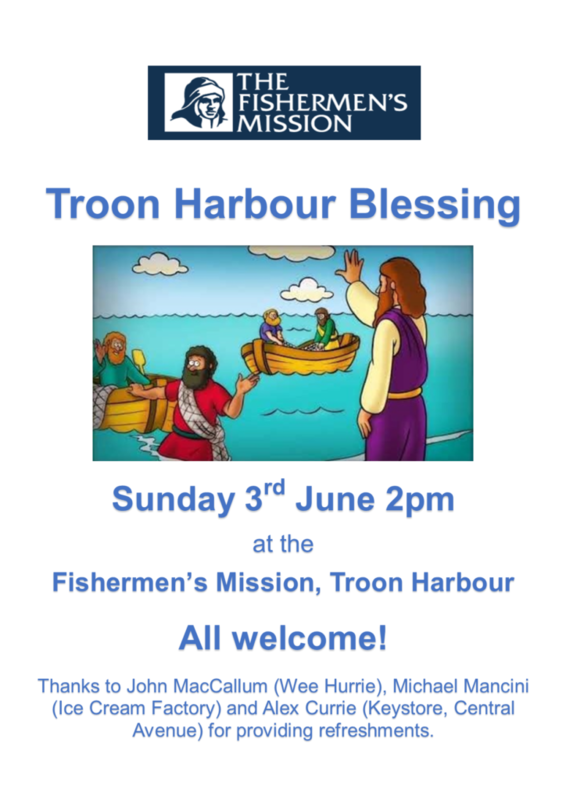 The annual Harbour Blessing Service organised by the Fishermen’s Mission will take place at 2 pm on Sunday 3rd June, beside the Fishmarket building. Shelter will be available in the event of inclement weather. All are welcome to attend this short (half hour) ecumenical service, which will be followed by food and light refreshments kindly provided by the Wee Hurrie, the Ice Cream Factory and the Keystore in Central Avenue.